The term “superfood” has been playing a large role in our vocabulary. People are looking to eat foods that contain a high level of nutrition in hopes of fighing off diseases like cancer. One of the foods at the top of that list is blueberries. So it’s no surprise that more and more places are growing them. Typically with most fruits you find in the supermarket, you only get them from a couple states, maybe including your own. However I am noticing that more and more blueberries from many different states are arriving on my local grocery store shelves. No other item in the produce department comes from so many different places. I thought I would take a look at these states and talk about their crops and when they are harvested. Also at the end I will make mention of wild blueberries. When Are Blueberries Harvested in Each State? 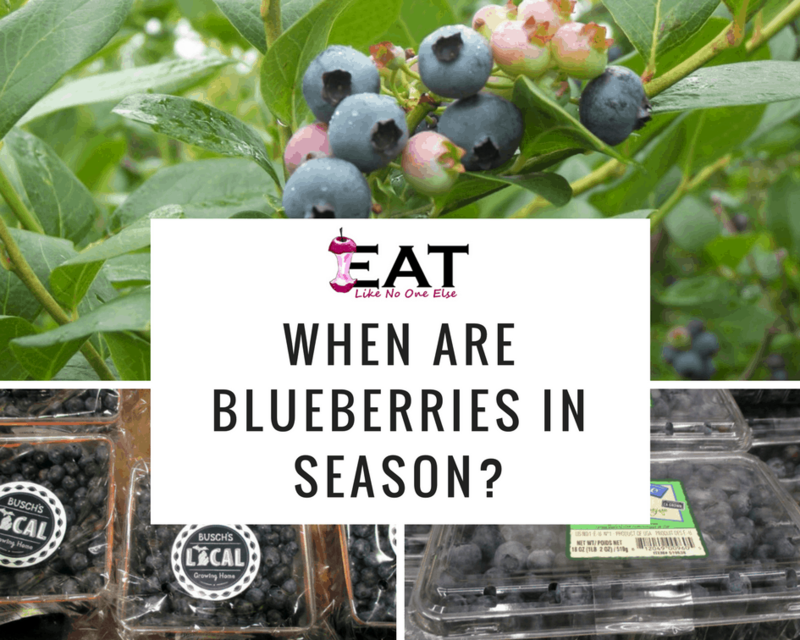 On a nationwide level you can expect the first blueberries to arrive for the year from Florida, followed by other southern states and California. Then Texas makes an appearance before a sizable crop from New Jersey hits the stores. Michigan, Maine, and other northern states round out the year. Below you will find a table of the average harvest times (each year can be slightly different). Make sure you buy local during your state’s season. 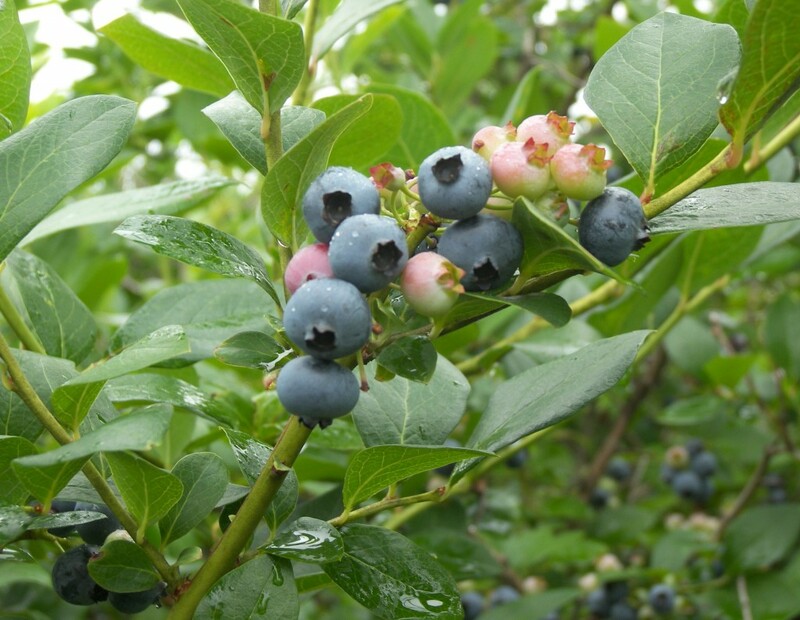 I want share with you a few highlights from some of the different’s states blueberry seasons. Florida offers the first blueberry crop of the year to make a scene on the national level, giving them a huge advantage. The Florida season lasts about 6 to 8 weeks. Here is a video showing blueberries being packed in Winter Haven, Florida. Depending on how the crop in Florida looks and how Georgia’s crop is, they will replace the Florida grown berries in the stores around early May. Did you know that blueberries are actually Georgia’s most lucrative crop? They may be known as the Peach State but more money has made on blueberries than peaches. A little while after the Georgia crop you will start seeing North Carolina grown blueberries. In the 1930s it was discovered that parts of North Carolina has the acidic soil that blueberries thrive in, so commercial production began. Blueberries are native to North Carolina. Hop’n Blueberry Farm (Black Mountain, NC) are raising native North Carolina Mountain blueberries. They are growing a variety called “Columbine” that normally grows at 4500 feet or higher and their altitude is 2700 feet, yet they are doing well. These berries are smaller in size but not on flavor, sweetness, and anti-oxidant levels. I was excited to hear someone trying to grow and preserve the native varieties. Most of the California blueberries hit the market in May and June. But some growers are able to get a crop even early such as Family Tree Farms out of Reedley, CA. Watch the video below on how they grow their berries. Starting in June, Texas grown blueberries hit the market place. The Texas Blueberry Festival in Nacogdoches, TX runs in early June and has been going on for over 20 years. Around the middle of June, New Jersey grown berries start to dominate the market place. When I see Jersey grown in the stores I know that my Michigan berries aren’t far behind. Now onto my home state. I can’t wait for blueberry season to begin each July. Michigan leads the nation in the production of high bush variety berries. Blueberries can be found throughout the state, however the southwest corner of the Lower Peninsula is covered with blueberry farms, so the u-pickers have quite a number of options. Maine is the leading producer of lowbush blueberries in the United States. Blueberries were all orginally lowbush, the higher bush varieties came along later. While this helped the blueberry industry develop across the United States, the original low bush varieties or wild blueberries are said to have the superior flavor. One Maine wild blueberry farm is Peace & Plenty Farm. They grow 100% organic wild blueberries in the High Peaks region of western Maine. They rely on native pollinators and are on a three year rotation for cutting their fields. Maine wild blueberries are frozen and shipped across the country. G.M. 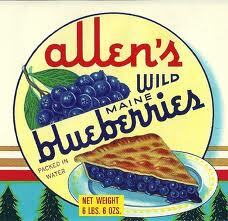 Allen & Son Inc is one company that has been in the wild blueberry business for going on 4 generations now. Their blueberries are the ones used by Ann Arbor, Michigan based Zingerman’s Bakehouse in their pies and blueberry buckle. If you have never seen wild blueberries before check out a video of their farm and see how these berries are harvested. You will then know why the high bush varieties came on the scene! 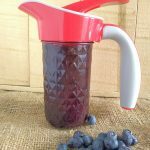 When blueberries are in season, I love to make syrup with them. Perfect for putting onto pancakes. The syrup can be made using just blueberries, water, corn starch and sugar. I like to spice it up with ground cardamon and fresh lemon zest. I add the just of the lemon if my blueberries are extra sweet. An easy to make blueberry syrup with ground cardamon. In medium saucepan combined the sugar and 1/2 cup of the water. Stir to combine. Add the blueberries to the pot. Bring to a boil. Slowly stir in the corn starch mixed with 1/4 cup of water. Reduce the heat to a simmer. Cook for 15 minutes or until you reach a syrup consistency that you like. Remove the heat. Stir in the lemon zest and cardamon if using. Add the lemon juice to taste. For a smooth syrup, pour the syrup throw a strainer to remove the skin of the berries. Keeps in the fridge for about 2 weeks.